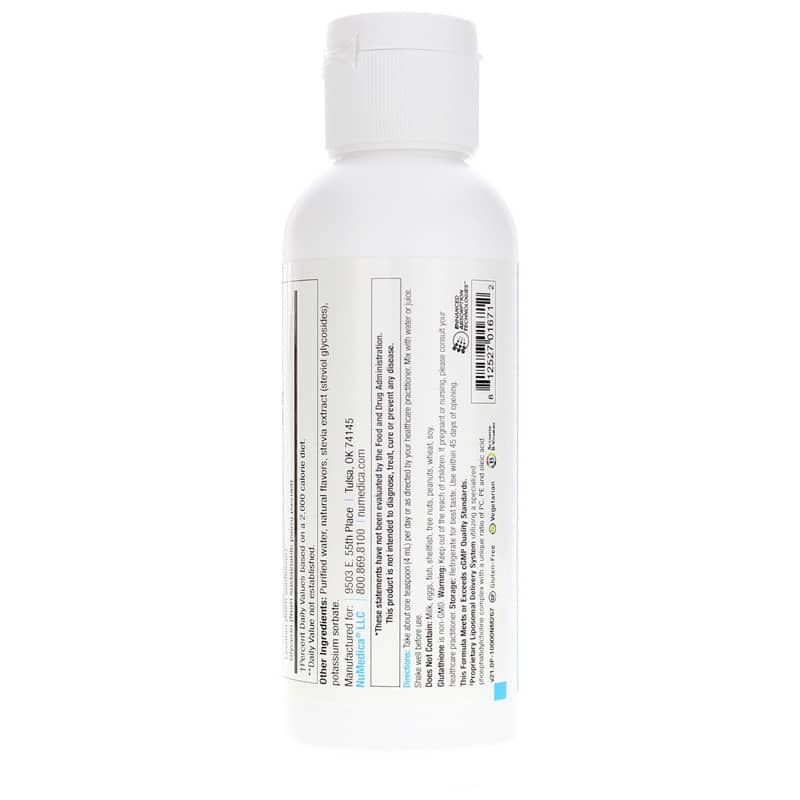 Liposomal Glutathione from NuMedica provides 500 mg of the antioxidant glutathione plus activated B vitamin cofactors. Featuring Advanced Nutrient Absorption Technology, Liposomal Glutathione provides optimal support against toxins and free radicals. Glutathione is among the most protective antioxidants in the body. It's found in particularly high concentrations in the organs essential for handling toxins within the body, including the liver, spleen, pancreas, and kidneys. Glutathione may be beneficial for protecting cells and tissues from damage by heavy metal toxicity and other environmental toxins, breaking them down into less harmful compounds so the body can rid itself of them. 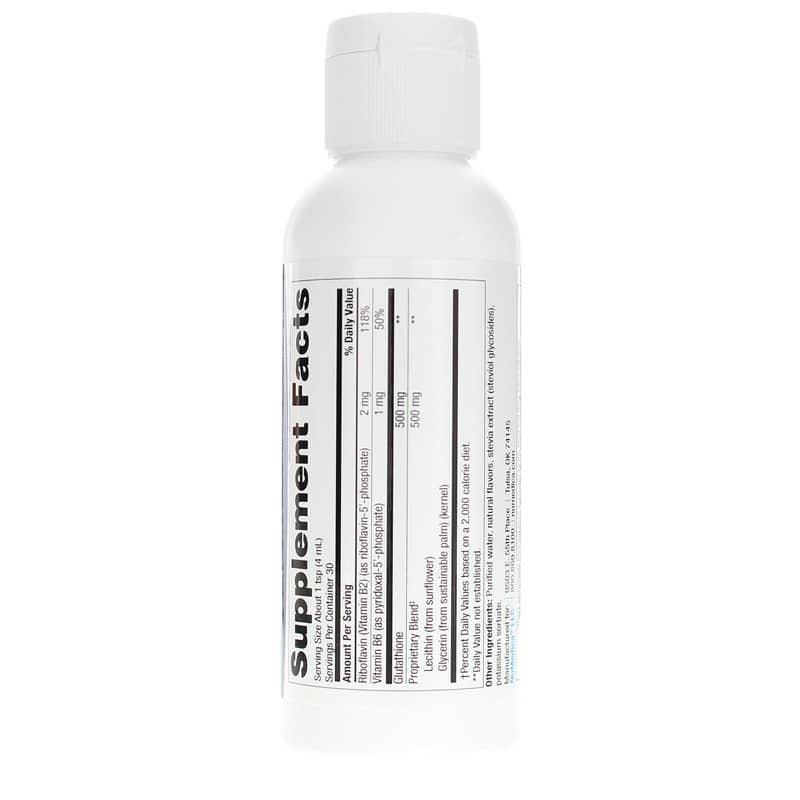 To make sure you get the most benefit possible from this compound, Liposomal Glutathione is specially formulated for optimal bioavailability. 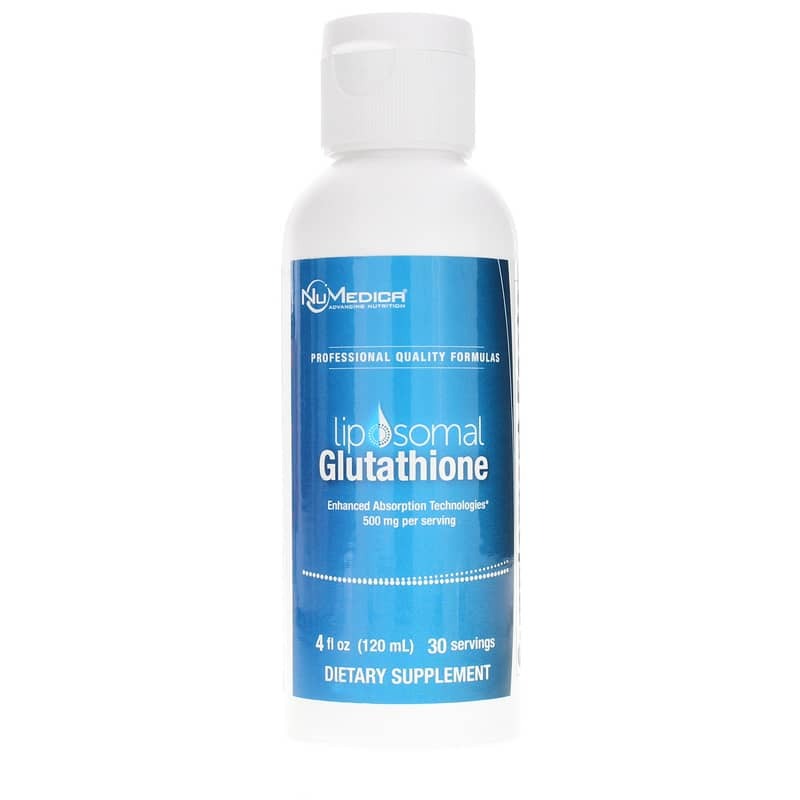 Featuring Advanced Nutrient Absorption Technology, the glutathione in this supplement is delivered in phosphatidylcholine liposomes that are able to pass through a variety of cells. Additional support comes from activated B vitamin cofactors that support the body's ability to properly absorb and use glutathione. In an easy-to-take liquid, this supplement is easy to incorporate into your daily routine. For optimal antioxidant support, choose optimal delivery. Order Liposomal Glutathione. Contains NO: milk, eggs, fish, shellfish, tree nuts, peanuts, wheat, soy. Glutathione is non-GMO. Vegetarian and gluten-free. Adults: Take about one teaspoon daily or as directed by your healthcare practitioner. Mix with water or juice. Shake well before use. Refrigerate after opening. Use within 45 days of opening. Keep out of the reach of children. If pregnant or nursing, please consult your healthcare professional.